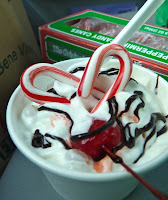 Today was Day #3 of Chocolate and Peppermint Candy Cane Theme Week. 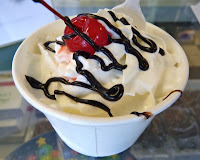 There are lots of interesting peppermint ice creams out there -- all good candidates for hot fudge sundaes. 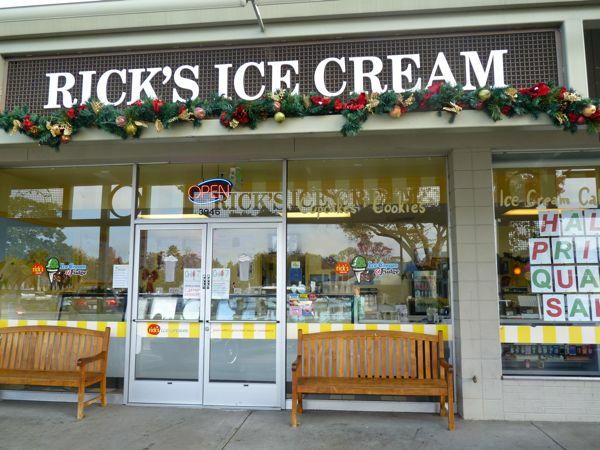 Rick's Rather Rich is a great, local ice cream parlor down the road from my house, so I'm a frequent customer there. I dolled up this fresh-tasting Rick's Peppermint ice cream sundae with whipped cream, hot fudge and a cherry in my car -- with a few mini Bob's Candy Canes. 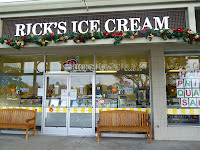 OK, it was a bit of a mess, but now it really feels like the holidays.